Unconditional love means that I trust and accept the individual’s ability and capacity to improve the undesirable behavior. I don’t just accept the behavior that I don’t like. I let the person know my expectation of the desirable behavior, and I trust that they care about me enough to make the change. Do You Want to Be Loved, or Do You Want to be Right? Being right massages the ego; while being loved nourishes the soul. Q. I had digestion problems all my life. I have IBS on the constipation side and I am not able to have any milk products. I cramp up and the gas just sits in my digestion. I have gone to many doctors and they want me to go on medical drugs and I don’t like taking them. I would never get well by eating right and do it natural. Please I need some advice. I am so lost. Thank you for listening to me. A. Irritated Bowel Syndrome (IBS) consists of a cluster of digestive tract symptoms including alternation of constipation and diarrhea, flatulence (gas), gas pain, fatigue, foggy mind, depression, etc. 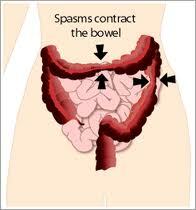 The major causes of IBS are the overgrowth of yeasts and parasites, and chronic stress. As in the articles I posted before, and as detailed in my book, Breaking the Yeast Curse: Food and Unconditional Love for Magic Healing, there are physical and psychological causes of yeasts and parasitic infections. Physical causes include indulgence in yeast-favorite food (Standard American Diet – SAD) containing sugar, dairy, wheat, yeast, alcohol, caffeine, nicotine, and chemicals, excessive use of antibiotics, lack of exercise, pre-existing illnesses, poor hygiene, sexual contact and the breakdown of the immune system. Psychological causes include unfinished business, boredom, and “Busy-Taking-Care-of-Others Syndrome”. Psychological stress is actually the primary cause of yeast disorders. To effectively treat Irritated Bowel Syndrome (IBS), I would suggest using a holistic approach. Adopt a yeast-free nutritional program that contains no sugar, dairy, wheat, yeast, alcohol, caffeine, nicotine, and chemicals. The above no-no’s are “Dr. J’s Eight Commandments” as detailed in my cookbook, Healthy & Tasty: Dr. J’s Anti-Yeast Cooking. A yeast-free nutritional program will nourish your body and starve the yeasts and parasites –your little enemies within. Our Herbal Detox Program consisting of Yeast-Para Control and Cleansing-Balance Tea is highly effective in combatting IBS. Yeast-Para Control will remove excess yeasts and parasites in your body, and allow your body’s innate intelligence to heal you. Cleansing-Balance Tea is designed to cleanse your liver and kidneys so that toxins will not build up in your body. The function of Yeast-Para Control is like a scrub for the toilet, and that of Cleansing-Balance Tea is the flushing of the toilet. You can also add Herbal Cocktail, a high-protein herbal drink, to nourish your body that is starving for nutrients. On the psychological perspective, one should learn to effectively manage one’s stress. In my book: Breaking the Yeast curse: Food and Unconditional Love for Magic Healing, one can learn valuable techniques such as 10-minute meditation, Emotional Releasing Technique, special prayers, and affirmations. I offer consultation on yeast-free nutrition, Chinese Herbal Detox, Hormonal Balance, and Weight Control on the phone or Skype. For an appointment, please call 1-800-715-3053 or send an e-mail to drj@drjsbest.com.